he Church of the Holy Nativity is far more than a church building, worship services, Christian education, fun activities, and helpful ministries. We are a close family supporting one another in love. And, we embrace all who would like to be part of our family. As in all families, we embrace our young and care for them from their births on. Newborns are welcomed into our family with applause. We have a private nursery room with necessities such as changing tables and portacribs, as well as a secluded place for nursing. Our nursery is available every Sunday, except summer, staffed by mothers and grandmothers, 9:30-11:30. Toddlers “graduate” to Church School and start at 9:45am before our 10am service. Then, as our children grow we provide teachings in a challenging and multi-sensory curriculum about God, the Bible, the Episcopal Church and other spiritual matters. This curriculum prepares them for Confirmation classes. They are included in worship ministries as Acolytes, lay-readers, and ushers. Some children even join in prayers at the Healing Station. All Church School teachers and assistants are safe-church certified. 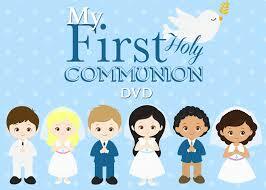 First Holy Communion is a special day to our children - one that they have prepared for and look forward to. 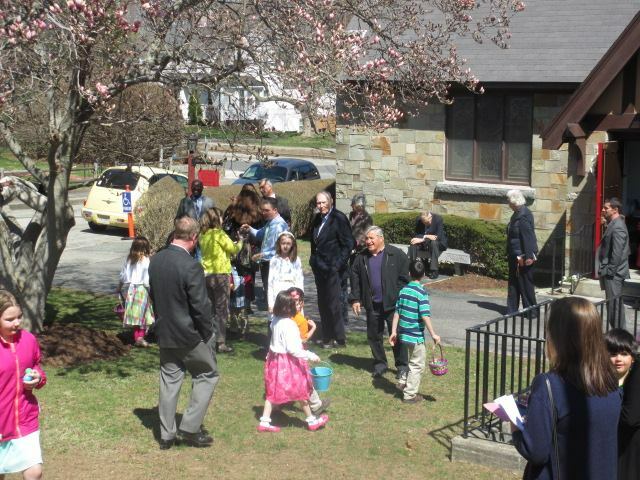 In the spring, a Sunday is set aside to mark this oscassion for the children, including a reception with a cake in the hall after service. The children participate in fun seasonal activities, such as Easter Egg Hunt, Christmas tree decorating and dancing around a May pole, just to mention a few.